I'm pretty sure this study would apply to most fit people but it's always good to get some positive reinforcement. I would say the more important issue is quality of life while you're alive. Of course, this also improves but living longer is considered a sexier headline. 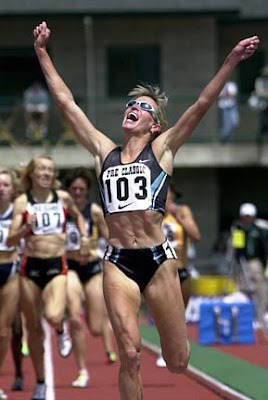 pic: suzy hamilton is ecstatic to hear that she's going to outlive most of us. Two drugs could be on the way that would change the world as we know it. I'm not prepared to go into a philosophical discourse on the subject yet. There could be many downsides (and scary sides) to this should it work as advertised, but a primary one could be the loss of sports and competition to the world. This is a far cry beyond what we now consider sports doping to be. At best, doping creates an advantage over like-trained individuals. In tests with mice, those that exercised while taking GW1516 increased their performance by 77%. This would mean that athletes could actually be made from scratch. What this would do is take away the current explorative nature of our beings to find out just what the limits of the human body are. That is the true nature of sport. While this has been altertered, slightly, with modern doping practices it's now where near where it could be. I suppose it's possible that we'll roll with this and just accept medical changes as part of sport. But I'm pretty uncomfortable with that thought at the moment. What if we made an electrolyte supplement that didn't have any electrolytes in it? Common logic would suggest that you'd be thrown out of a marketing meeting for such a suggestion but, somehow, someone at Gatorade got Employee of the Week instead. So if you ever wondered how a junky beverage like Gatorade could possibly be worse, you now have an answer; by eliminating the nutrients that were the reason for creating it in the first place. Ladies and gentlemen, introducing Low-Sodium Gatorade: the world’s most inane beverage. How and why could this have happened? Since marketing jargon has suggested that electrolytes in your diet are a good thing but excessive sodium in your diet is a bad thing, the geniuses at Pepsi (who own Gatorade) that if they could just get the sodium out of their electrolyte replenisher they'd have the perfect cocktail. 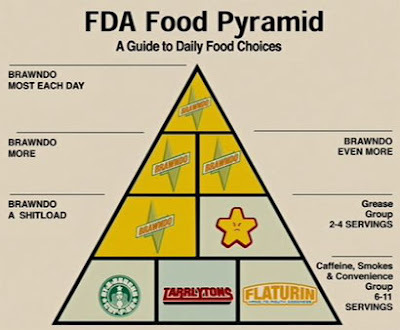 The only problem here is all that pesky science that tells us sodium is the electrolyte that we need the most. I suppose it's too much work to educate people that we only need to replenish something when we've lost it in the first place. The public hates all that A + B = C stuff anyway. The basics look like this. When we sweat, we're losing electrolytes at an accelerated rate. When we're not sweating, we don't need to replenish them. The same thing is true for Gatorade’s other ingredient, sugar. This is why Gatorade was created for when playing sports. And sports, it seems, have been deemed a limiting factor for their marketing strategy. I mean, why limit its application to things most of us don't want to be bothered with? Sports, after all, require us to move our bodies and, aghast, sweat. Can't we just have the sports drink without having to actually play the sports? After all, we can buy the Manning jersey and the Kobe shoes without the risk of someone D-ing up on us. Can't we have their drink, too? Now if we could just find a way to score all those contract endorsements by just watching sports, we'd really have something. Trent and I headed out Sat morning to attempt his birthday challenge. It was something he'd concocted a while back. I'd put a little thought into it and came up with this plan. Since this time my shoulder had gotten injured and Trent hadn't been riding much and had not gotten on all of the routes. But we both had a day free and decided to give it a go. We weren't at all sure about what to expect, but that always how birthday challenges go in some respect. We left Trent's house at first light carrying everything we thought we'd need for the day: rope, draws, belay device, running shoes, harnesses, climbing boots, food, and tape. Um, was there tape? There must be tape, right? Who doesn’t have tape in their climbing pack? We wore all the extra clothing we thought we might need and carrying our water on our bikes. At City Creek we encountered out first obstacle: hunting season. The canyon was closed to bikes and there was a guard outside in the dark to make sure we followed the rules. Other than a little extra walking, part one went well. We warmed up on a 5.10, then Trent lead and I followed Bat Cave, 12a. No falls, a quick clean, and soon we were on our bikes to ride across town towards Parley's Canyon. Canyon two promised to be the crux. I’d been on all of the routes and felt Leviathan, given 12a, was the toughest. Trent hadn’t been on it but I thought it would suit him. After all, he climbs 5.13 and he’s tall. Most steep routes favor shorter climbers. 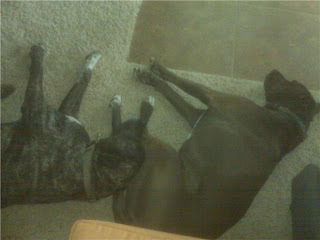 This one, I felt, seemed to favor someone taller. It also had the longest and steepest hike of the day. If we could tick this portion that rest of the challenge would fall into place, or so it seemed. First go Trent fell at the crux. He worked it out. Tried again. Same result. Re-evaluating, he figured out an unobvious sequence that seemed to work. I went up and concurred. Next try for sure. Next try the crux went fine and he fell on the final hard move. Same result, but this time there was blood. A lot of blood. Somehow we’d overlooked bring tape—fundamental for any hard climbing day. At this point, a simple piece of tape wouldn’t guarantee success but it would give Trent a chance. By now the route couldn’t be more wired but we were too far from the bikes to go find tape. Using a bar wrapper to stop to temporarily stop the blood, Trent gave it three more goes, falling at the final sequence each time, and each time leaving the route looking like a battleground. We were finally forced to cash it in and call it a day of recon. But there was still plenty to do. 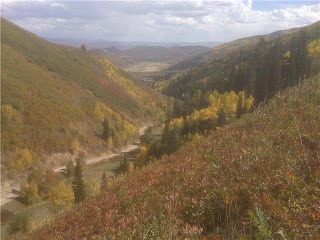 Romney met us with some tape and we headed off to Little Cottonwood Canyon to see how much of our list we could finish. 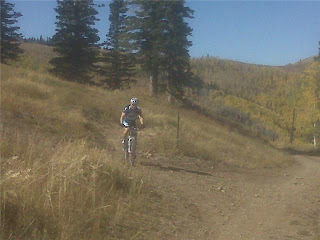 Looking pretty cooked on the last 10% section of the grade, Trent rebounded and hiked Cool Your Jets first go. Again, I cleaned and we were soon headed down the canyon. At Ferguson, we decided to skip Condor and ride up Big to see how much light we had left. Trent was cooked and, by the time we got to Highlander, we were too late to both climb it and ride back to his house. We could have climbed and ridden to my house but Trent figured he was weaker on the bike so riding home was the option we chose. The ride home felt long. Combining hard climbing adds a new element to a challenge, and things hurt that we weren’t used to. We rolled up to Trent’s house just after dark—a fine day of recon and training finished. We had time to get it done. With Leviathan properly whittled down, all we need is for the weather to hold long enough for Trent’s finger to heal. It’s a good hard day. It would be nice to do it in style. The objective is to build a solid base over the winter that will carry me through the next play season. The program is built around my first performance peak at the end of April for the duathlon nationals. The goal is to qualify for the world championships, so it’s not planned for a 100% peak. If I can work out how to get all of my equipment to Virginia, I’m more interested in seeing how I hold up doing two national championship races in two days than my placement in each, provided that I place high enough to make the national team. 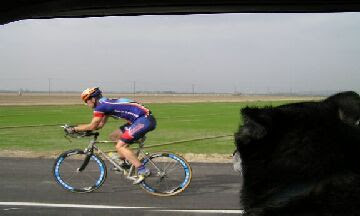 I plan to then focus on climbing and bike racing through the spring/summer. At 10 weeks from worlds (providing I qualify), training will begin for a major peak. This training began last April, with P90X and X Plus. Summer was filled with lots of outdoor playing. I’ll be using these workouts, along with 10 Minute Trainer, to round out the aerobic base created during the summer over Oct & Nov to get ready for the more sports specific training below. This is a big picture analysis. The specifics will unfold as it comes about. Like all training programs it’s subject to change as it progresses. For an even bigger picture scroll through the September postings. pics: good form vs bad form - compared to dave z i'm a mess. part of these drill sessions will be to improve this, which is something that i've never really worked on. General Note – Recovery Periods will be added as necessary when necessary, most likely a few days to a week between each training block. Sitting inside on a snowy October morning I'm planning next season. Providing our economy doesn't transform our nation into some version of The Road Warrior, 2009 should be a lot of fun. We're planning on riding around Europe and catching some of the spring classics, climbing the longest sport climb in the world in Mexico, doing some proper bike racing, seeing how many canyons we can do on our tandem, and competing again at duathlons. sam enjoying one of the last rides of the season. October, so far, has including mainly trying to milk the weather as long as it would hold. 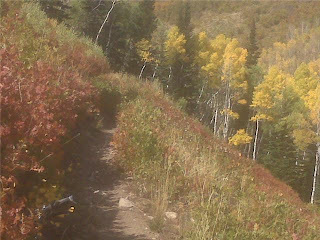 Knowing the trails around Park City could disappear any day, Sam and I did a long and highly aesthetic ride on Wed, connecting most of my favorite trails in Park City and Deer Valley. Friday a group of us got in a good 5 hours on the civies, and in between I've been trying to hit the crags without doing further damage to my shoulder. More nice weather is in the forecast but, at this point, I'm fairly excited about concocting a new training template and seeing what I can get done next year. 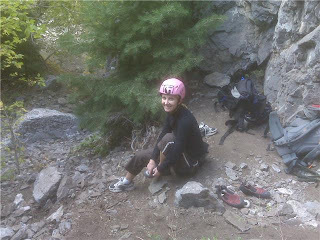 romney, after narrowing escaping major injury from a falling rock, sports her brand new oh-so feminine helmet. the varmits trying to come to terms with the weather. I've written a fair amount about drug use in sports over the years. Some of you have pointed out that sometimes I seem to vilify it while other times I'm more supportive. The reason for this is that it's a complicated subject. To the public, it's about as misunderstood as it possibly could be. The media loves to categorize issues as black or white. If you understand what doping actually is, and its history, you'll see that the entire subject is shrouded in gray. This film is great. It's absolutely a must see for anyone who feels compelled to comment on Barry Bonds or Lance Armstrong or, perhaps, even watch the Olympics. If you want to be an educated viewer, Bigger, Stronger, Faster is Sports 101. Yesterday my foot popped off a hold while working on my project (video of route, not me), shock-loaded my already weakened shoulder, and this morning I'm sitting here icing and wondering if I need to finally have this thing MRI'd. This will probably affect my fall but probably not my year-long challenge goals. If anything, it will change the climbing agenda, which will give me more time to work on the bike. Injuries are unavoidable. If you play sports, you'll get hurt at some point. If you don't, you're body will simply break down doing everyday activities. Avoiding all injury is impossible. So what matters is how you deal with injury and how you build you body to stave them off as long as possible. I recently wrote a two-part series on injuries, prevention, and what to do when you get injured. Following this I was asked to do a radio interview on the subject. Now that I'm injured, again, I should probably do a follow up on how the rehab I do is going to make me stronger than I was prior to the injury. If that doesn't work it should show up on Gary Doyle's archive page at some point. 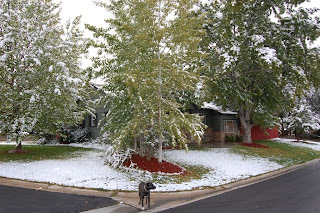 For outdoor athletes, fall is the best time of the year. Climbing with Ben the other day, he stated his desire to start taking every October off of work. 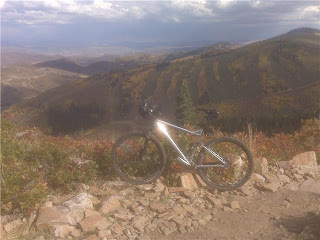 It makes sense, as October weather gives you the best chance to complete almost any outside endeavor. The weather is generally warm, not hot, with cool nights and dry conditions. The days are short but they now make lighting systems that make it pretty easy to forge on into the night. My fall has started off with a lot of activity. Nothing epic--maybe epics aren't in the cards this year as my windows to exercise rarely exceed half a day--but plenty quality time outdoors. And, to me, that matters more than ticking stuff of a list. pics: my phone camera doesn't begin to do these views justice. The mountains are stunning right now. 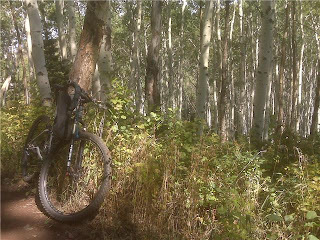 The trails are like riding through an enchanted forest. It's, like, Nirvana.